FILE - In this June 16, 2014, file photo, Amazon CEO Jeff Bezos walks onstage for the launch of the new Amazon Fire Phone, in Seattle. Jeff Bezos became the richest man in the world Friday morning, after adding nearly $7 billion to his wealth overnight. 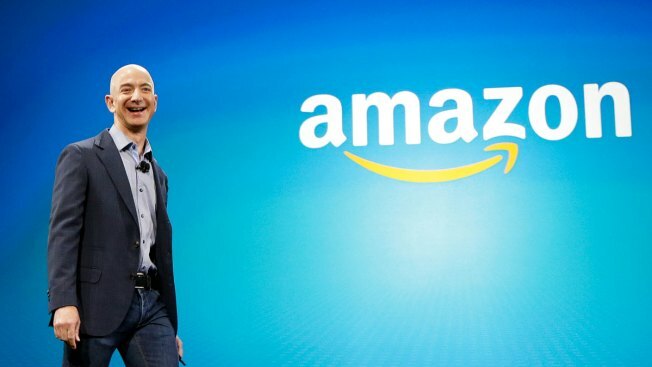 With Amazon's share price surging Friday morning after its earnings report, Bezos's wealth shot up to more than $90 billion, according to calculations by CNBC and data from the Bloomberg Billionaires Index. That put Bezos past Bill Gates to become the richest man in the world. Gates also added to his fortune Friday morning with the rise in Microsoft stock after its earnings. But his gain of around $550 million put his fortune at $88.5 billion — not enough to stay ahead of Bezos. This isn't Bezos' first time as numero uno. He became the richest man for the first time in July – but his reign only lasted a day. On July 27, Amazon's share price topped $1,050 and Bezos' paper fortune soared past $90 billion.